Have you ever tasted something that you expected to hate but ended up loving? 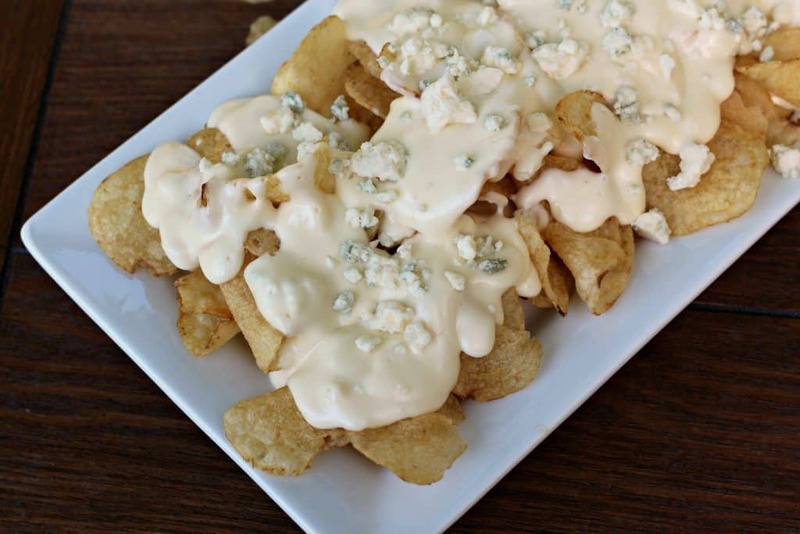 That is the story of me and Creamy Blue Cheese Chips! 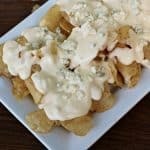 I’m not a fan of blue cheese, so when friends ordered the blue cheese chips appetizer at a local restaurant, I was incredibly hesitant to try them. 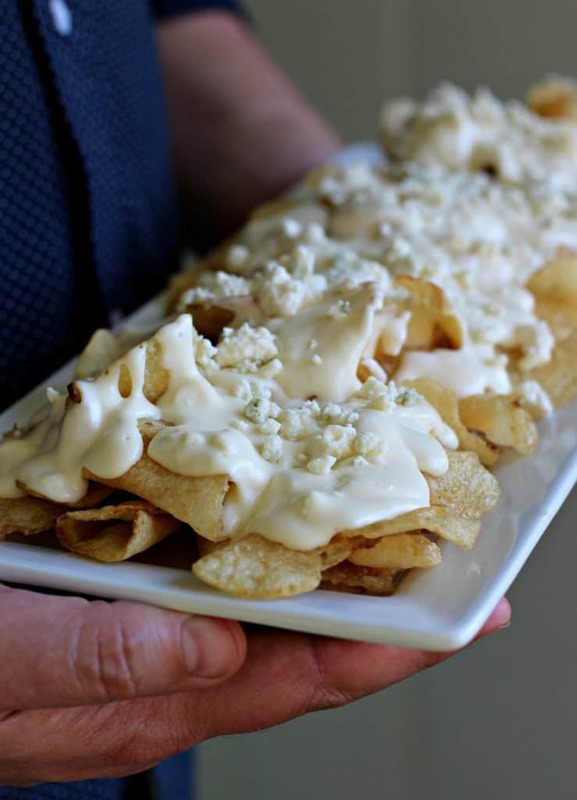 It was love at first bite when I tasted the crunchy, salty chips covered in warm, creamy alfredo sauce and blue cheese. I mean… YUM! 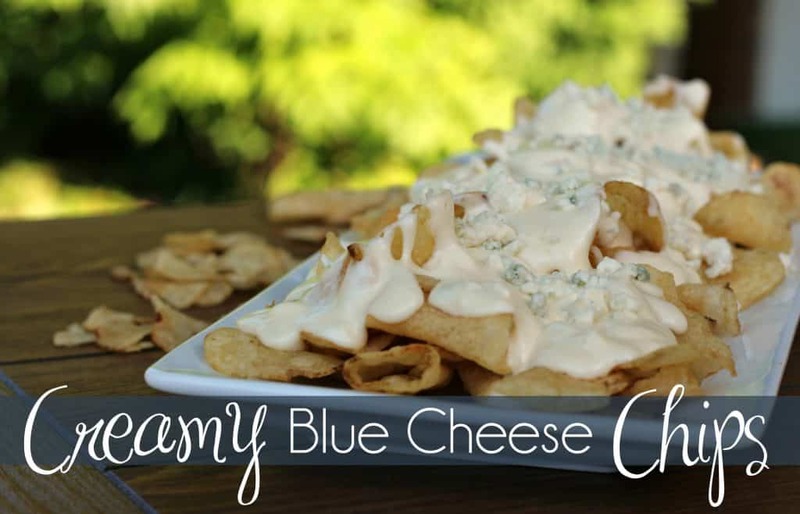 Creamy Blue Cheese Chips has been on my mind ever since that first taste. 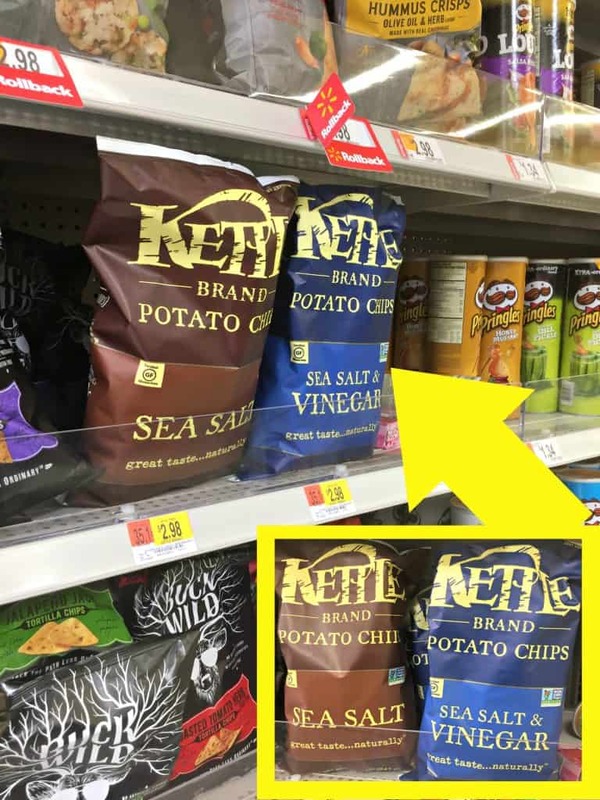 I’ve really been wanting to recreate the yumminess in my own kitchen, so last week I picked up a bag of Kettle Brand® Potato Chips and a few fresh ingredients to experiment and create the recipe. It was a total success! 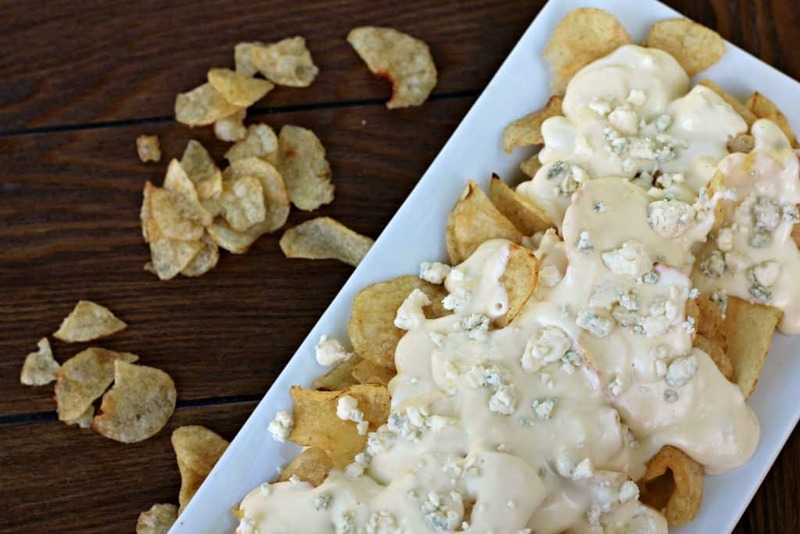 Not only are Kettle Brand® Potato Chips the most perfect base for this recipe, but Snack Factory® Pretzel Crips® are also wonderful when dipped in the creamy, cheesy sauce. I say, try both! 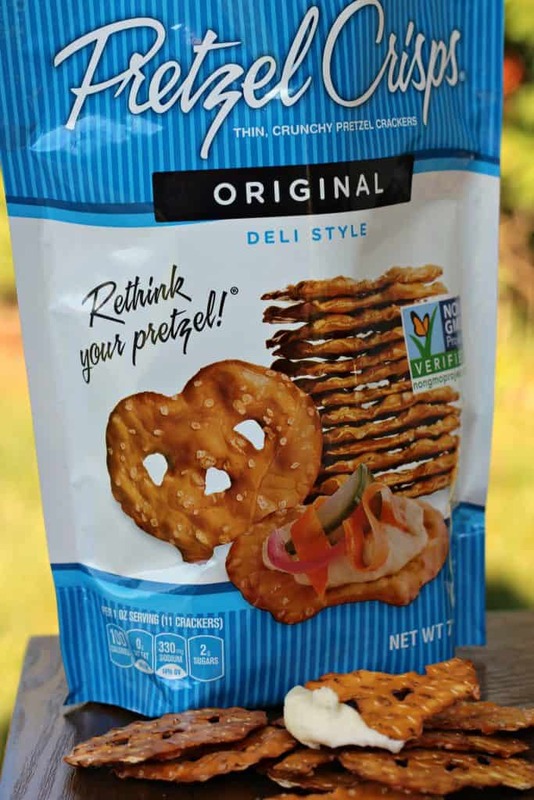 Kettle Brand® Potato Chips and Snack Factory® Pretzel Crips® are perfect for summer snacking with family and friends. Everyone loves them and they’re made perfectly with simple, high quality ingredients. Plus, you’ll find so many great varieties and there is something for everyone. 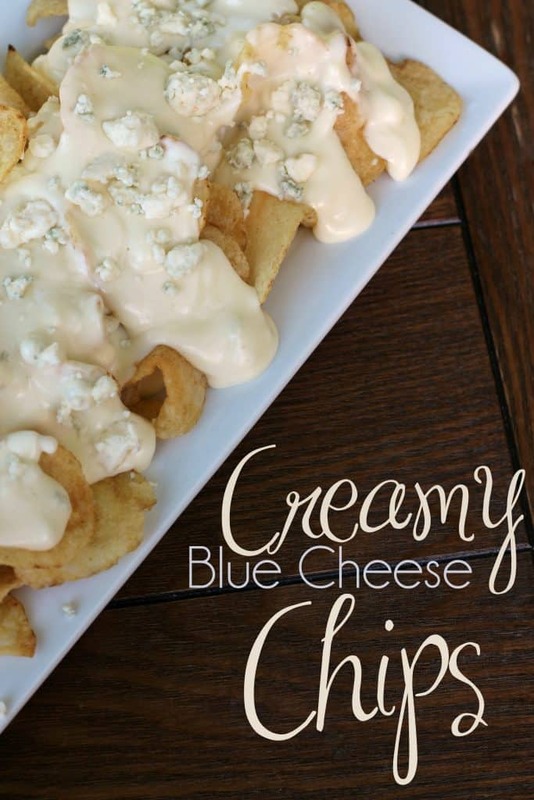 Speaking of something for everyone, if you’re a bit worried about the blue cheese in this recipe, I understand. Being a non blue cheese fan myself, I can tell you that it’s still totally worth a try. But if you or someone you’ll be sharing this dish with find the flavor of blue cheese to be too strong, you can substitute feta cheese. Feta will be a great texture and add that extra special cheesy deliciousness. 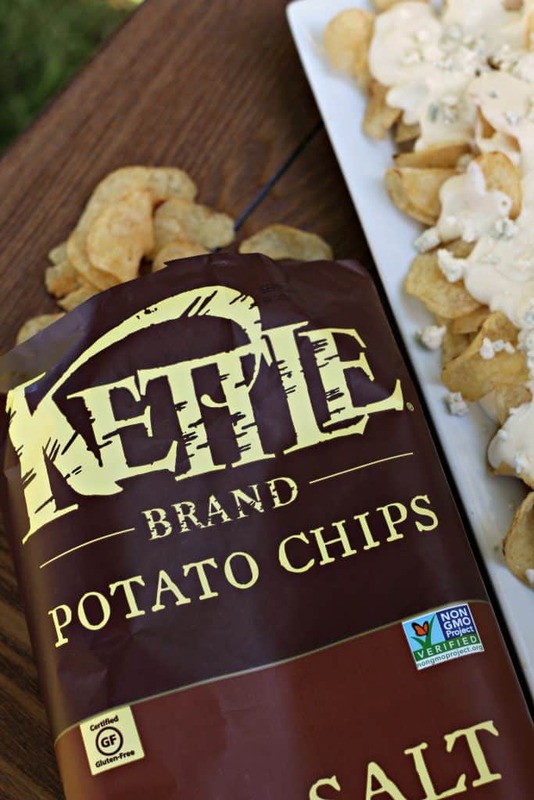 Creamy Blue Cheese Chips made with Kettle Brand® Potato Chips would be an awesome appetizer to a summer cookout, a movie night snack, or for a casual party with friends and family. This dish is so shareable! 1. In a medium saucepan, melt the butter and cream cheese together over medium heat, stirring often. 2. Add the garlic powder, milk, and Parmesan cheese and stir together. 3. Simmer the sauce on medium to medium-high heat for 2 minutes, stirring constantly. Reduce the heat to low and continue to cook for another 5 minutes until the sauce is smooth. 4. Remove the sauce from heat, add half the blue cheese and stir gently. 5. 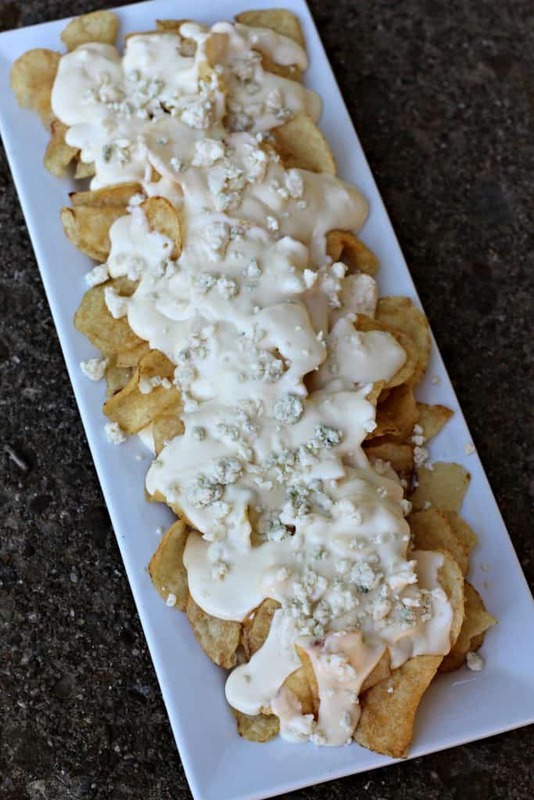 Spread the Kettle Brand® Potato Chips on a platter and pour the blue cheese sauce evenly over the chips. Sprinkle the chips with the remaining blue cheese. 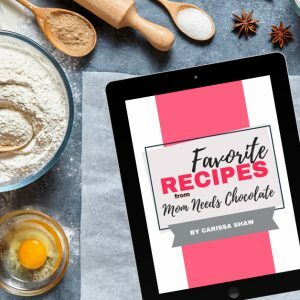 Be sure to to enter the sweepstakes by sharing your snack stories photos of you, your family or friends in your snacking moment using hashtag #SnackSnapShare. 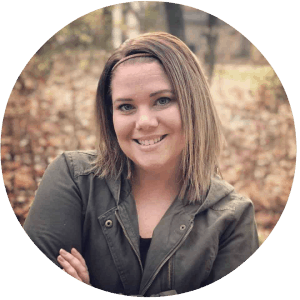 There are so many opportunities to win! 1 Grand prize- $10,000 cash prize for a family vacation of the winner’s choosing. 8 Weekly Winners- One weekly winner will win a year’s worth of snacks so they can continue to share the love all year long. 57 Daily Winners- winners will receive a $50 prepaid Visa gift card to stock up on snacks at their favorite retailer.